This post will guide you on how to setup your new Samsung Galaxy Note 3. But basically, what you need to do is turn off things you don't need and turn on those that might be helpful to you. Moreover, you need to make sure your new phone would have the correct time, date and language. Here are the things you can do make sure your GN3 usage will be smooth-sailing. Before anything else, make sure you insert both the battery and the SIM card then follow the following procedure. Touch English if that's the language you want to use on your phone, otherwise swipe up or down to find your language. People with sight and hearing problems are advised to tap Accessibility to adjust accessibility settings. If you want to learn more about WiFi calling, tap Learn More, otherwise, tap Skip. If necessary, choose a WiFi network to connect, otherwise tap Skip. Setup or sign in with your Samsung or Google account. You may read 'Google & location' information. To clear the check boxes and turn location reporting off, tap the check boxes. You may now login or create your Dropbox account. Or, you can just tap 'No thanks' to open an account later. Tap 'Enable easy mode setup' if you want to turn easy mode on. If prompted, tap Yes to update your Samsung account, otherwise, tap No. Take time to read the 'System Manager Application' info. Tap More info if you want to read more or Close to close it. Read the tip then tap OK.
You will be brought to the Home screen. Your Samsung Galaxy Note 3 has now been setup successfully. Touch the Menu key and tap Settings. Tap the General tab, then Developer Options. Tap the Developer options toggle switch off and it would be greyed out. You can choose whether to use the device's default time and date settings or change them according to your preference. But note that the default setting for your device is to automatically update the time zone. Go back to the Home screen and tap the Menu key. Tap Settings then the General tab. Tap Automatic time zone to select the check box. Tap Automatic date and time to select the check box. Tap the Menu key from the Home screen. Tap Settings, then the General tab. Tap Automatic date and time to enable 'Set date' and 'Set time' options. Set your date then tap Set when finished. Set your time then tap Set when finished. 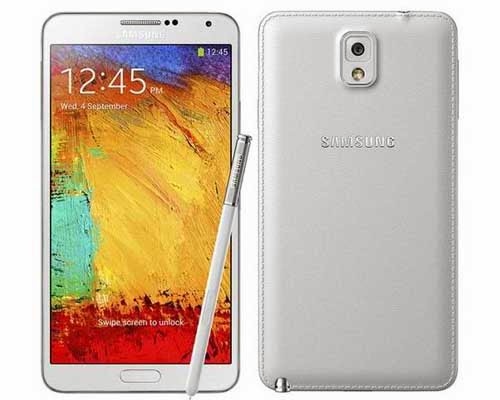 How to setup Samsung Galaxy Note 3? How to turn on/off the Developer Options on Galaxy Note 3? How can I change the language on my GN3? How can I set or change the date and time on my Note 3? I just got my Galaxy Note 3, what should I do with it?